If you are wondering what to do in Lisbon around Chiado, read on to find out some suggestions. Chiado is a very popular area to go out both during the day and night. It was home to many famous Portuguese artists in the beginning of the 20th century, so there is a lot you can explore! It is a very lively neighborhood of Lisbon. Both young and elderly hang out there. And another great thing about Chiado is that it’s not as famous as other parts of Lisbon. So, you will be surrounded by the locals. 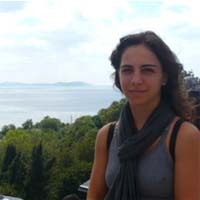 That is why I’m giving you some suggestions of things to do in Chiado I know you’ll enjoy. I want to make sure you enjoy the area as much as possible! 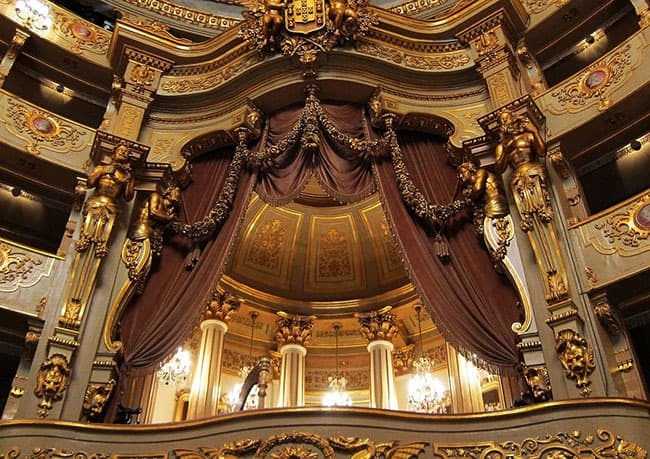 If you are in Lisbon and visit the area of Chiado, the first thing to do is to visit São Carlos Theatre. It first opened its doors on June, 30th of 1793. This theatre is gorgeous! And it is host to world-known operas and breathtaking performances. If you want to know where to begin your walk through Chiado, I think it is a great place to start. It will follow the cultural dimension of Chiado. Next to São Carlos, you’ll also find the São Luiz Theatre, host to more modern music performances and theatre plays. The one thing everyone does in Chiado in Lisbon is to go shopping. Rua Garrett is famous for its shops and as you go down the street, you will enter Armazéns do Chiado, a small, quirky mall. 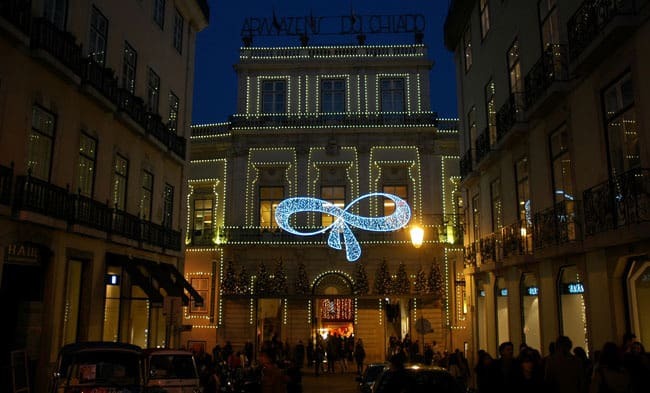 While visiting Chiado you can’t help entering one of the many shops and treat yourself to something special. 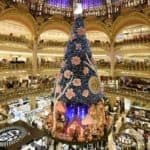 You’ll find locals shopping here any day of the week! One thing you absolutely will love and must do in Chiado in Lisbon is to go for a great meal. From breakfast to a snack or a main meal, you’ll find out that Chiado is a gastronomical heaven. Visit the historical coffee shop A Brasileira, where the poet Fernando Pessoa used to enjoy himself, or the house next door which is called Benard for a great chocolate croissant in the main street Rua Garrett. 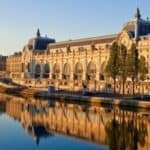 You can also explore nearby streets and have breakfast at Tartine, or a custard tart at Manteigaria. 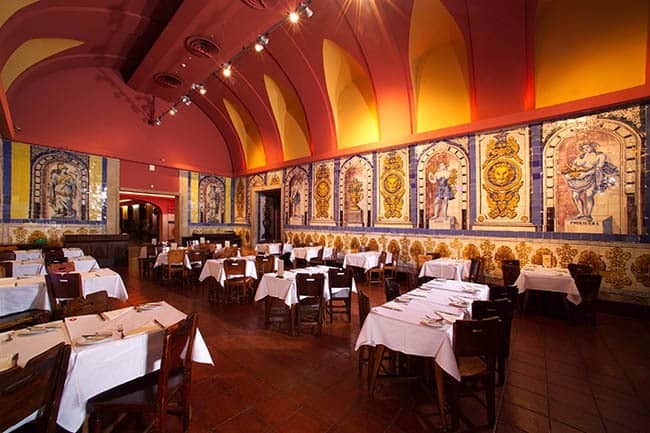 For a proper meal, visit the old brewery Trindade. 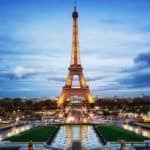 I’m sure you will be satisfied in any of these places! They are my favorite! I always leave with a full belly and they always put a smile on my face! Another thing to do in Chiado area in Lisbon is to visit Convento do Carmo. This old gothic convent is an iconic symbol of Lisbon. 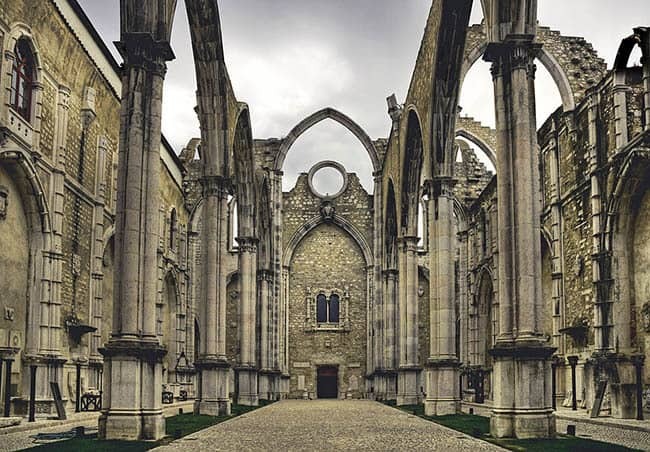 Destroyed by the earthquake of 1755, it was not rebuilt afterwards and it is a testimony to our history in the Lisbon landscape. It now hosts the archeological Museum of Carmo, amongst other initiatives and a part of it was also turned into a military building for the National Guard. For its history, symbolic importance and its breathtaking beauty, this is one place you’ll love to visit in Chiado! If you’d like us to guide you through your journey, check out our private tours here. 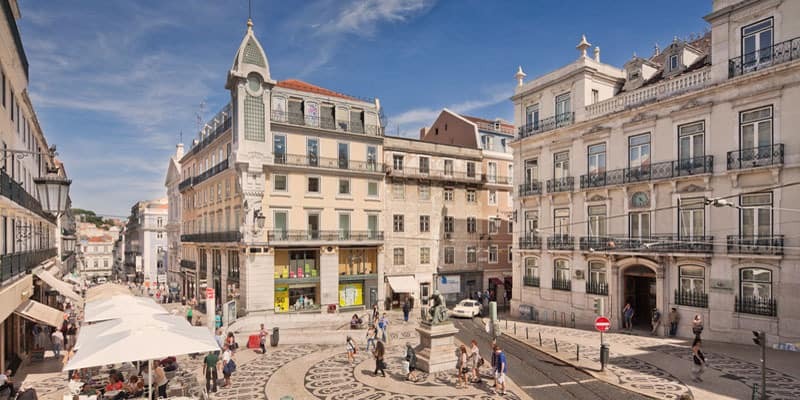 If you are in Lisbon visiting Chiado, one thing to do is to discover the viewing points nearby. As you go up from Praça de Camões to Rua do Loreto, you’ll find a great viewing point: Santa Catarina, which is also known as Adamastor. Here, you’ll find a statue of Adamastor, a mythical creature that threaten the ships during the Discoveries, sculpted in reference to Os Lusíadas, a famous poem by Luís Vaz de Camões that narrates the adventures of the Portuguese into the sea. 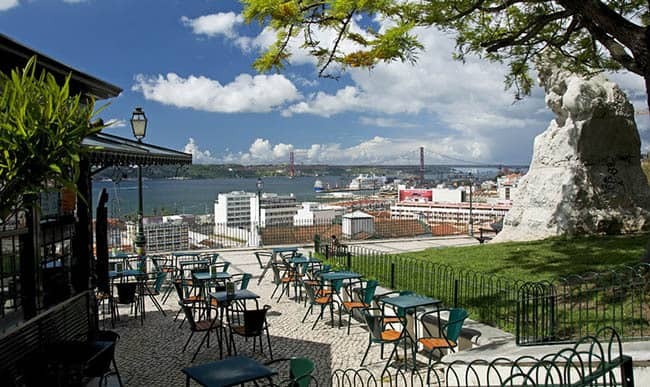 Because Chiado is uphill, this viewpoint overlooks the slope leading to the river Tagus and it is the perfect place to stop for a little while, relax and enjoy the view. 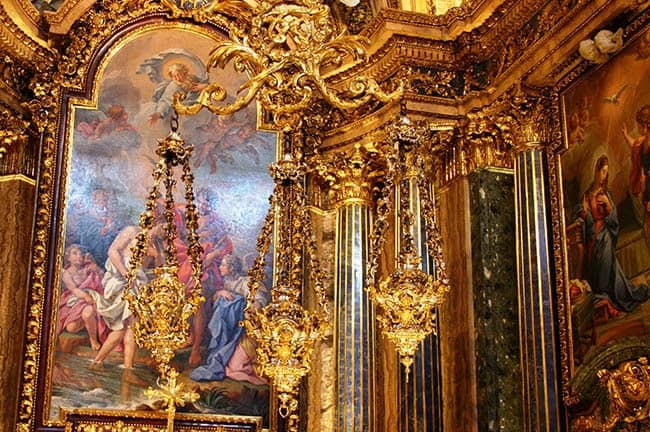 Another thing to do in Chiado in Lisbon is to visit the churches nearby. You’ll find plenty of churches to visit and they are all worth the visit, but I’m leaving you with the suggestion of São Roque. São Roque is one of the few buildings that survived the earthquake of 1755 and it was given to Santa Casa da Misericórdia (a non-profit Catholic organization known for its social work). I believe it is an interesting visit as you’ll get to see a building from before 1755. That is something quite rare in Lisbon! 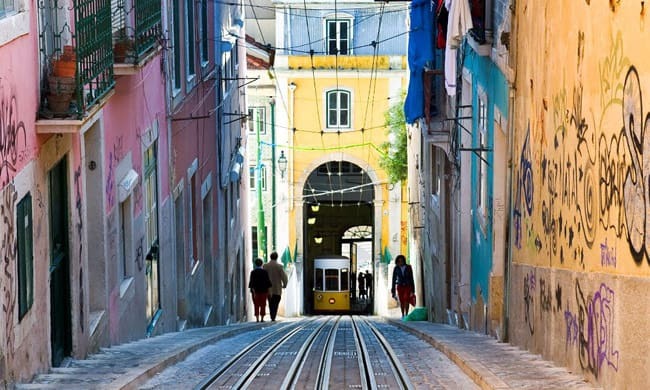 The last suggestion of what to do in Chiado in Lisbon is to go uphill and discover the famous area of Bairro Alto. 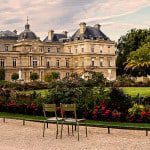 This area became famous at the beginning of the 20th century when a lot of newspapers had their headquarters there and so it became a center of politic and cultural affairs. Nowadays it’s known for its nightlife and you can also enjoy great meals in the local restaurants of Bairro Alto. I can assure you, you will thoroughly enjoy this area. The atmosphere truly translates Lisbon lifestyle and the Portuguese way of thinking, which is to take it easy and enjoy every moment. You now know what to do in Lisbon around Chiado! I hope you’ve enjoyed reading this article! Chiado is very special to me! 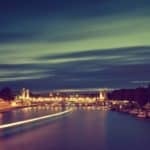 To be honest, there are countless things to do in Chiado. 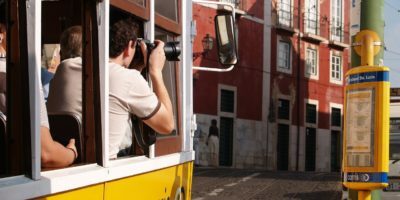 Only a local will be able to show you the way and take you to the best places in Chiado! Because Chiado is one of Lisbon areas where they rather spend time! Dive into Chiado’s atmosphere and soak in all its culture and coolness! Whenever I meet friends in Lisbon, Chiado is always the meeting point! 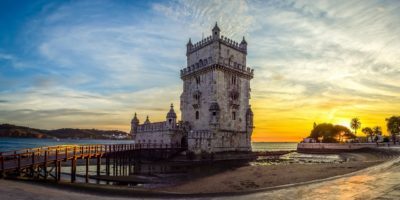 So if you want to fully experience Lisbon and understand Portuguese lifestyle, it also should be yours! ;) See you in Lisbon!